Welcome Home to The Seychelle, designed by award-winning Clodagh Design, a 2014 modern bldg with 5-star amenities including a rooftop pool and spa, incredible indoor/outdoor clubhouse, indoor and outdoor community kitchens, state-of-the-art gym, pilates and yoga studio, conference and office center, a pet grooming spa, 24-hr concierge, doorman, onsite mgmt & an upscale restaurant. Offering a truly unique blend of residential and lifestyle perfection! This stunning 2BR + 2.5 Bath condo incl. gourmet kitchen w/ Thermador appliances and master suite w/ocean view which incl. a walk-in closet, a spacious spa-like bathroom & a private terrace perfect for enjoying sunsets. 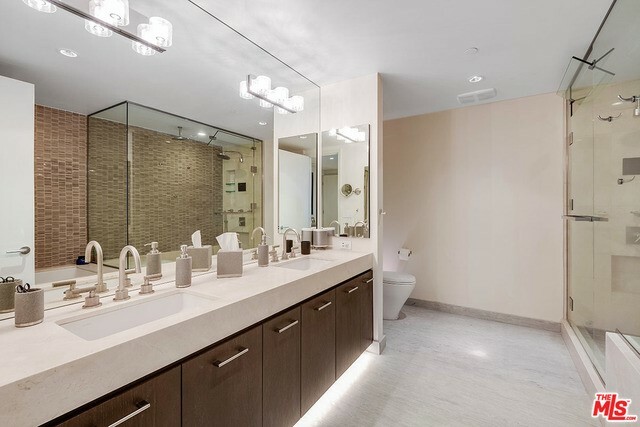 The condo is stunningly appointed with all Restoration Hardware and Timothy Oultan furnishings & several upgrades including Control4 home automation, UHD 4K TVs, steam shower, whole-home HUE LED lighting and Sonos sound system. AGGRESSIVELY PRICED AT $2,980,000, THIS CONDO REPRESENTS THE SEYCHELLE'S BEST FOR SALE UNIT. Based on information from California Regional Multiple Listing Service, Inc. as of 12/20/2018 6:55:51 AM PST and /or other sources. All data, including all measurements and calculations of area, is obtained from various sources and has not been, and will not be, verified by broker or MLS. All information should be independently reviewed and verified for accuracy. Properties may or may not be listed by the office/agent presenting the information.